Don't miss another payment opportunity. Accept payments anywhere! Get started today. The NURIT 8000 is the leading handheld wireless POS device. This secure and sophisticated solution offers a wide range of communication options for mobile markets everywhere. An impressive array of advanced features and powerful processing capabilities make the NURIT 8000 an ideal platform for on the-go transactions and a large variety of vertical market applications. This advanced handheld solution is designed to provide a fast and efficient means of achieving increased and diverse revenue. In restaurants, markets, sports arenas, taxis or even at the customer’s own front door, merchants can perform highly secure card-based transactions with speed and ease. Touch screen display with electronic signature capture, large removable SD/MMC Flash memory for unlimited storage, voice and SMS cell phone options, and easy integration with back-office management systems are just a few examples of the value-added functionality provided by this lightweight and versatile solution. The NURIT 8000 supports many wireless communication technologies, including GPRS/GSM and Wi-Fi. TCP/IP is also available for Internet-based communications. Via its optional external modem, the NURIT 8000 also offers a wide range of landline communication options. Get approved within 48 hours! In order for merchants to have the ability to accept credit cards for their business transactions, they must first set up a "merchant account". Total Merchant Services makes opening a merchant account credit card processing terminal reader to accept credit card payment at your business both simple and inexpensive. Total Merchant Services is a nationwide credit card processing network provider that operates through our processing bank (HSBC) to provide merchant accounts with reliable merchant services. We have become one of the most competitive credit card machine processing equipment reader companies in the industry without compromising quality. Funds are deposited ACH direct deposit within 48 hours to merchants bank account. By opening a merchant account with Total Merchant Services, you will be able to accept all major credit cards including Visa, Mastercard, American Express, Discover, debit card, checks, & Ebt through your credit card processing terminal system. Total Merchant Services is your one-stop source for restaurant, retail & portable wireless (POS) point of sale machine equipment terminal systems and software for your credit card processing payment system. We even offer a merchant account that operates using a virtual terminal interface through the web. We offer merchant account services for retail, restaurant, kiosk, wireless, trade show, home based, mail - phone order (MOTO), internet & website. If you are a small business or a business who needs a high volume merchant account. Total Merchant Services can help you accept all major credit card payment transactions and give you low processing rates & fees. We support a variety of terminals for merchant accounts. 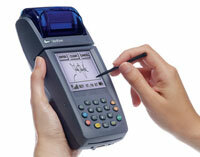 We can reprogram a credit card machine with no setup cost at all. Total Merchant Services will help you to find the best processing solution for your business. We invite you to call with any point of sale credit card processing machine terminal equipment reader questions you may have regarding the setting up of your Visa Master card merchant account services and any technical questions on merchant processing terminal machine equipment & software. Increase Your Revenue Stream Today! Total Merchant is looking to expand your business. 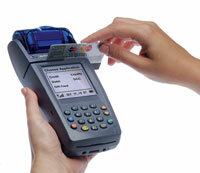 We have put the bancard industry in a frenzy when we released our FREE Credit Card Machine Placement Programs. 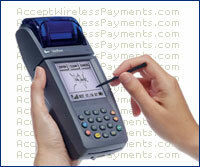 We are currently offering top of the line POS credit card processing reader technology. The FREE machine programs consist of a Wireless Nurit 8000 and a Hypercom T4100 with an optional Mag Tek Check Imager or Vivopay 4000 Paypass from Visa Master Card.